In 1993, I joined Jazzart Dance Theatre and resumed my training under Alfred Hinkel. While training at Jazzart I performed over 30 000 school children in the Western Cape. 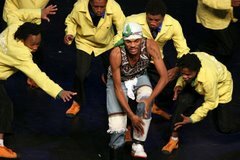 As a member of this company, he developed into an extremely accomplished performer, appearing in the award-winning Jazzart productions of “Medea”, “Junction”, “uMoya Womzansi” and “Bolero”. 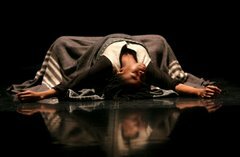 Dance, teaching and choreography has taken Sifiso to many parts of the world including Abidjan (Ivory Coast), Germany, Angola, Namibia, USA and Morocco. 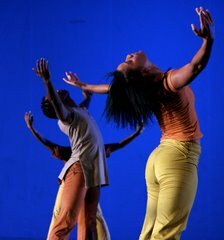 In 2003 Sifiso re-joined JAZZART Dance Theatre as a trainee artistic director. While at Jazzart he continued doing what he loves best teaching the Jazzart trainees and the company and co-choreographing Klipfontein Corridor Project involving about 80 children from the Western Cape primary schools and a highly acclaimed JAZZART and MAGNET Theatre production Rain In A Dead Man’s Footsprints.